Kids today have a different relationship with computers and the Internet then their adult counterparts. Schools now integrate computer use into the curriculum, as knowing how to use a computer and navigate the Internet are now basic life skills. The Internet has now become one of the most important, if not the most important, source for researching school projects. With that said, teaching your children about the Internet and setting some rules is tantamount to keeping them safe. 1. Help your children understand that not everything on the Internet is real. Help them to understand how the Internet makes everyone anonymous. Anyone can create a website or a social media profile and make their information appear as fact. 2. Help them set up an email account that you can control. Limit the emails they send out and make sure they’re writing to friends that they know. Set up an email filter so that unwanted email isn’t viewable to them. Decide on rules regarding registering for things on websites. 4. Show them how to use search engines. Knowing how to navigate search engines like Google and Bing and find information successfully will help them in the long-run, both scholastically and professionally. Just make sure to monitor their web browsing to make sure they don’t end up where you don’t want them. 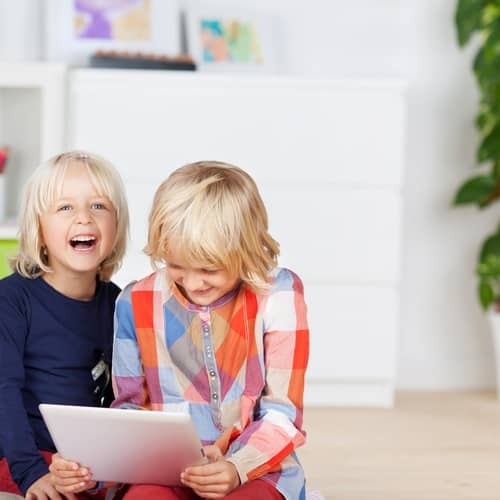 The Internet can be a great tool for children, and provides a wealth of information, games, and other fun activities. Monitor their computer time and keep an eye on what they’re up to. Teaching them how to use the Internet safely at an early age is key.